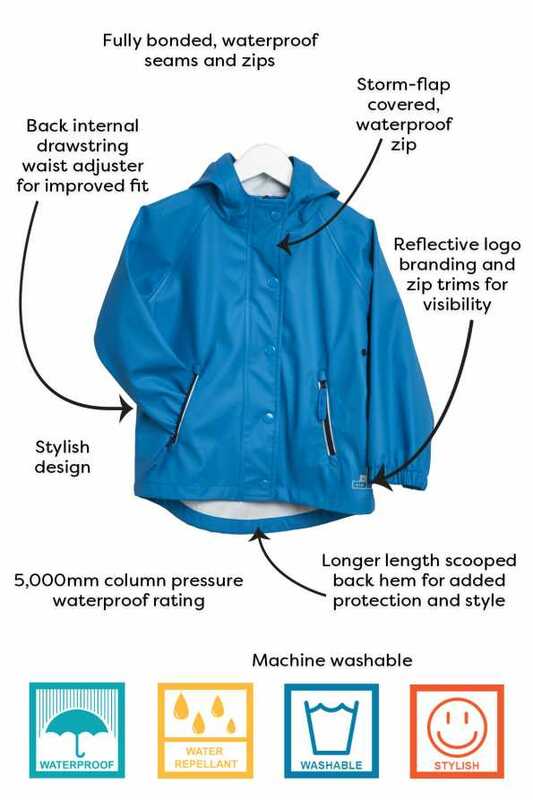 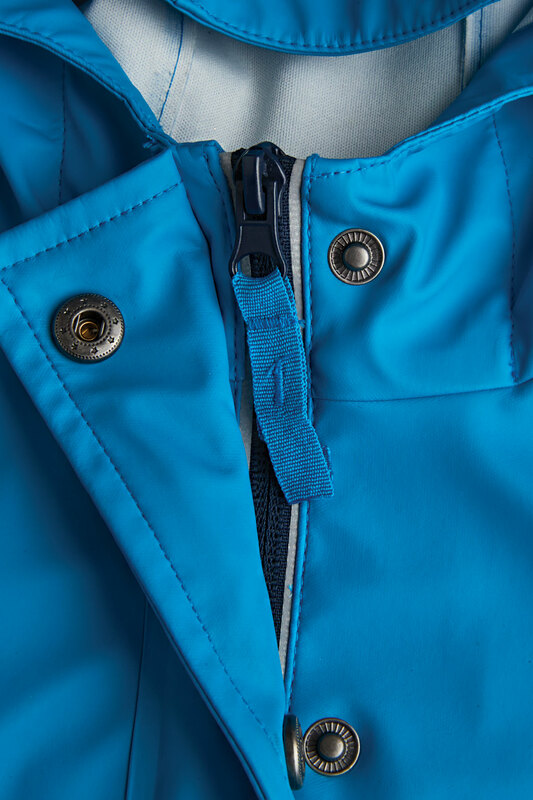 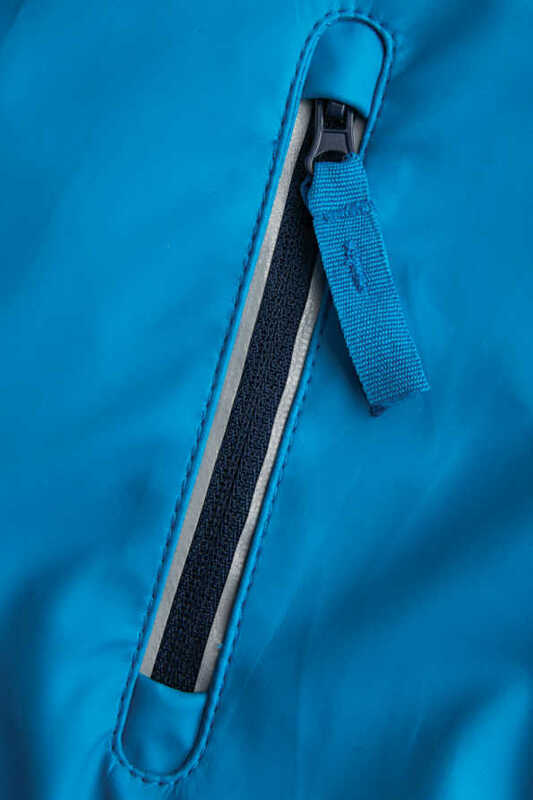 With storm flap covered zips and fully bonded seams, this little boys turquoise rain mac will protect them against the elements with a 5000mm waterproof rating. 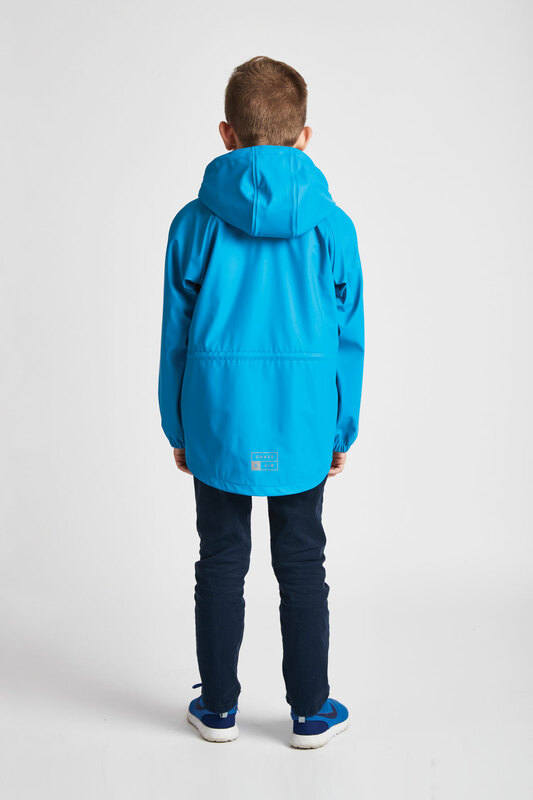 Available in our ‘Older Boys’ range and in navy. 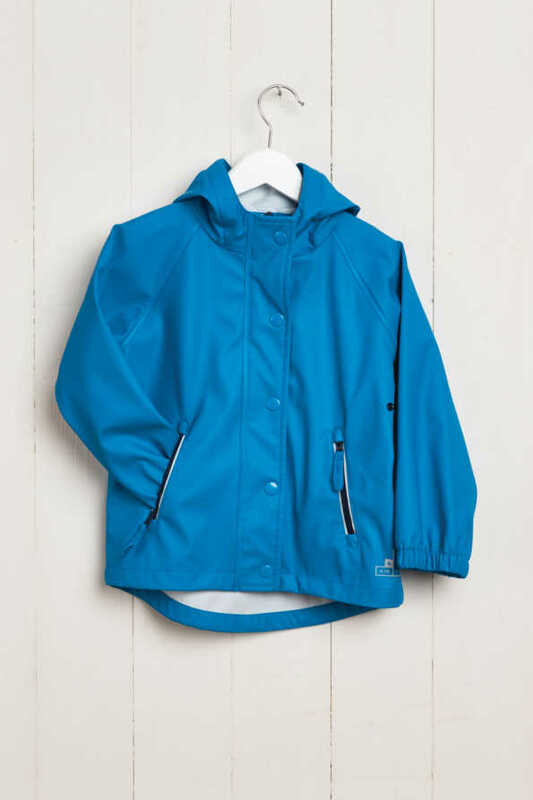 Also available in our girls range. 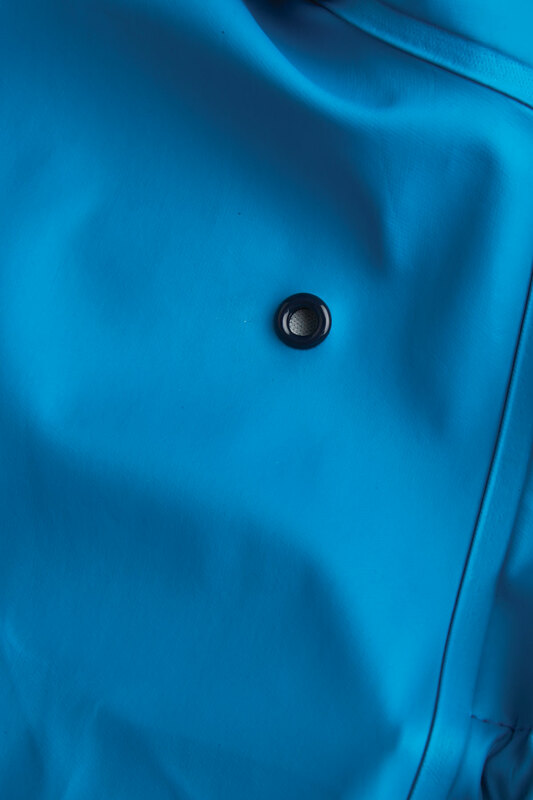 It’s time to hit the dirt with our Little Boys Turquoise rain mac. 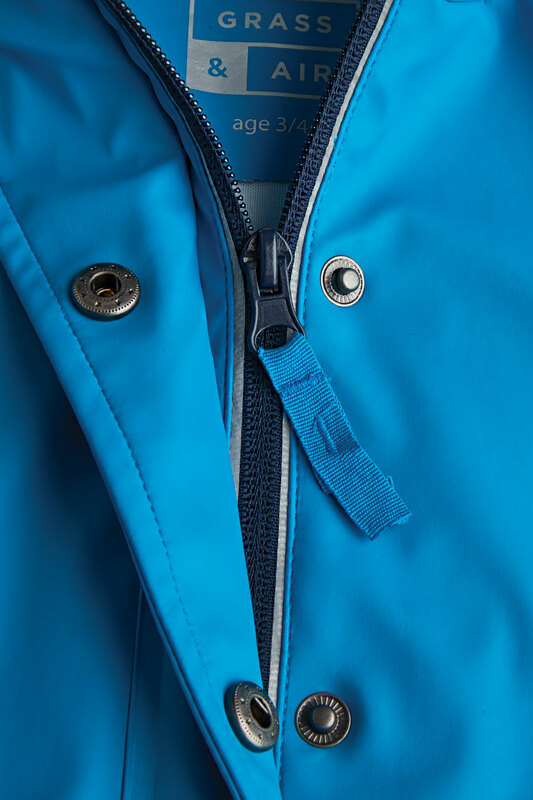 Adjust the rain jacket to their fit and style with the in-built back internal drawstring waist. 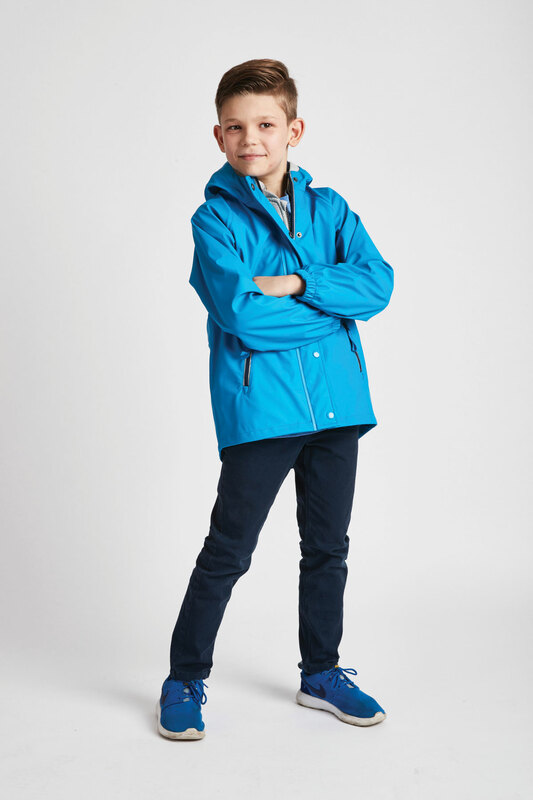 So, get out and kid about! 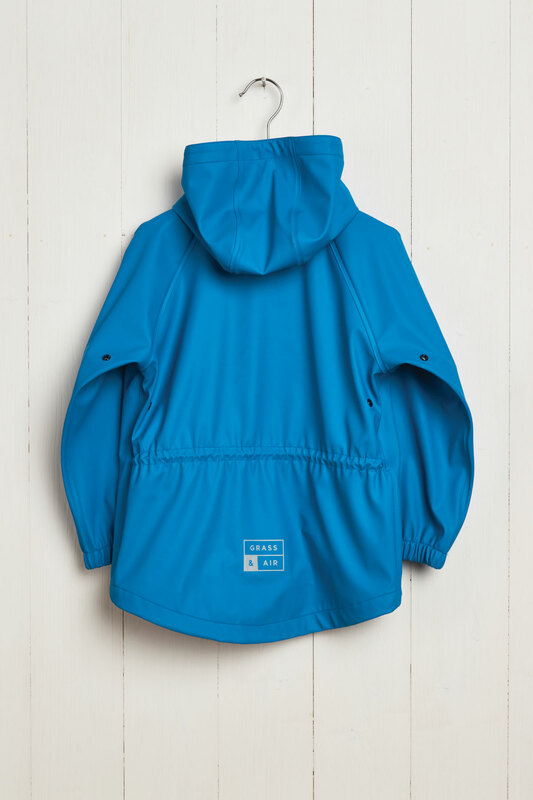 With the little boys turquoise rain mac there is nothing standing in the way of stomping in the dirt and running wild in the rain.